Apex Racing of Bengaluru have announced their team line-up for the Indian National Championship season of 2015. The team is headed by Team Principal Anil Kumar S. Apex racing is fielding riders, Kishore from Coimbatore and Amarnath Menon from Kerala for this year and also includes Sameer Venugopalan, Vivek Abraham and Sughosha R as a part of the team. The team will be participating in the Group-D 165-cc category with technical support from Sparks Racing. The 2015 season will include five rounds starting in June and will end in October. 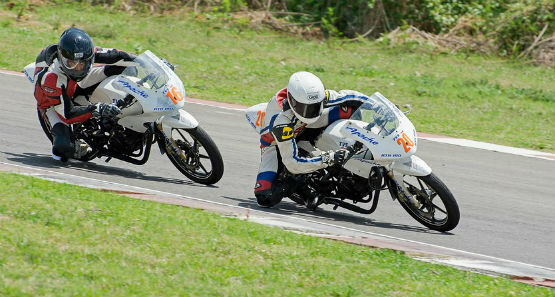 The races will be held at Kari Speedway, Coimbatore and the Madras Motorsport Race Track, Chennai. With the Federation of Motorsports Clubs of India (FMSCI) being recognised by the National Sports Federation (NSF), the motorsport community in India will receive the much needed impetus it needs to up the standards of racing in the country.